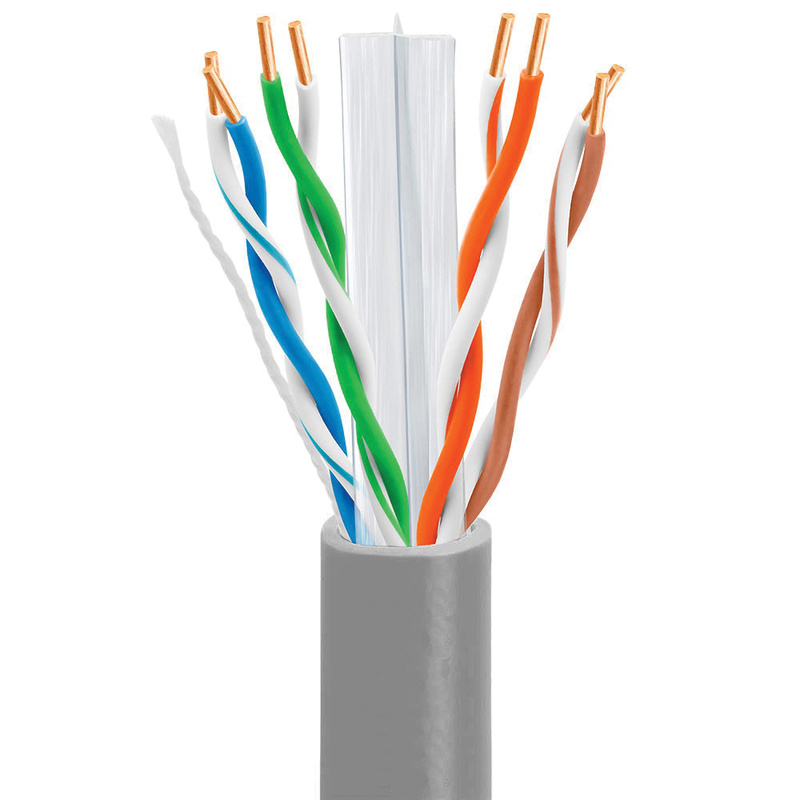 23/4 Plenum-rated Cat 6 cable has gray jacket to withstand harsh environmental conditions. It has copper/polyester tape applied over core shielding that reduces EMI/RFI interference/crosstalk. This 1000-ft cable comes in a box.